Do I Have To Download/Install Software to Play at an Online Casino? - Casino Answers! Casino Answers » Casino Beginner Questions » Do I Have To Download/Install Software to Play at an Online Casino? Do I Have To Download/Install Software to Play at an Online Casino? Many people, quite rightly, aren’t happy downloading software onto their computers because of the threat of viruses, Malware and Spyware, but casinos have reacted to this by allowing users the option of having their casino browser-based. Casinos that require you to download software are very much a relic of their time, the early days of the internet when connection speeds couldn’t possibly support a browser based casino. Thankfully, those days are long past and most casinos are now browser-based. This means you don’t have to download anything, so your hard drive will be spared any large casino files. This is ideal if you’re using an older computer, as well, as it won’t be a drain on valuable system resources. Hey, you might even want to play at your favorite casino at work and with a browser-based casino, you can do that (just don’t blame us if your boss isn’t happy!). Or, quite possibly, you’re using a Mac and already know that a lot of online casinos don’t write their software to be compatible with Macs, so the only choice is to used browser-based casinos. The software differs by website, but some require you to add a browser plug-in such as Shockwave, Java or Flash. There are also HTML interfaces which allow you to play online casino games. These games are made by software companies such as NetEnt, Real Time Gaming, Playtech or Microgaming. There are other companies as well and this is a highly competitive market. The best companies are externally audited to ensure fairness and that there is no funny business going on. How does dealing work at an online casino? For all games at an online casino, the software uses a complex algorithm that perfectly mimics the odds of a real live casino game. These games are audited externally by independent regulators who ensure the fairness of the games and make sure the odds are as stated. 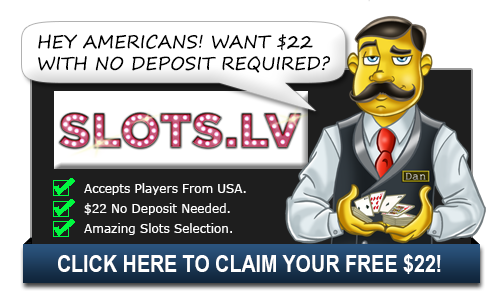 Additionally, there are some casinos which offer what is called “live dealers” which is exactly how it sounds. You play in a room along with other players as a real life dealer deals the cards (or spins the wheel) and reacts to whatever you do via your computer. Talk about something that wasn’t available in the old days due to connection speeds. Can I play on my mobile phone? While not all casinos are mobile-compatible, many are and the rest are working towards that. Some phones don’t support plug-ins like Flash so they aren’t able to handle casinos based in this, but if you look around enough you are sure to find one that is compatible for you. This is definitely the future of online casinos. What casinos offer browser-based software? What casinos can I play at without downloading any software? Do I always have to download software to play at a casino? Are there casinos I can play in my browser?